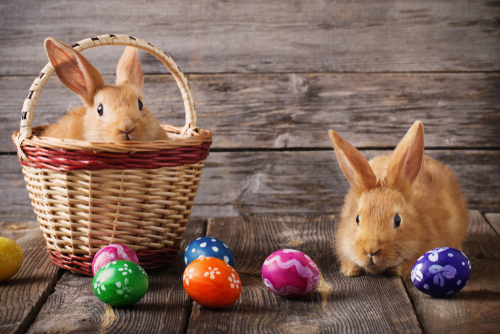 The 2nd Annual Bunnies & Brunch Easter Egg Hunt will take place on April 20 from 12 PM to 2 PM at The Old Mill Park in Fredericksburg. This beautiful venue is only about 10 minutes from the Fredericksburg Hospital House. Children 12 and under can participate in the event that is quickly becoming one of the most popular annual events in Fredericksburg. Some of the highlights of the Bunnies & Brunch Easter Egg Hunt include a brunch buffet, face painting, a petting zoo, Easter-themed arts & crafts, and lots of games. As for the egg hunt, there will be thousands of eggs hidden in The Old Mill Park. Each one will be filled with candy and toys that are sure to delight your little egg hunter. Just imagine the smile on their face as they drop each found egg into their basket. Of course, no Easter egg hunt would be complete without a visit from the Easter bunny, so do not forget your cameras.